A video of Mr. Ratsada interviewing Frederick "Cocoy" May y Colanggo, a self-confessed right-hand of Herbert Colanggo, his relative, exposing their illegal activities where he claimed headed by the untouchable Parojinog clan is doing rounds on social media. "Dear certain "hard hitting" journalists who pretend they're brave because they attack Duterte, Mas nakakabilib ang tapang ninyo kung ang I expose ninyo drug lords sa Pilipinas, imbes puro parte Kay Duterte. Yung totoo. "You wont do an expose on drug lords because you know for sure that you'll die. Sayang naman ang Pulitzer baka di ma claim. Si Duterte na lang, easy target. "Look at this brave man named Ratsada. He interviewed Cocoy Colanggo, who, on his deathbed, admitted to the drug trade. A few months later, after Colanggo died from lung cancer, Ratsada was killed in broad daylight. "Puro EJK, pero drug lord related killings ayaw ninyo pag usapan. Watch this, take your seat. According to the video, Mr. Ratsada is a known loyalist of the Parojinogs but later turned his back because he could no longer swallow the family's involvement illegal activities from drugs, criminalities and corruption. 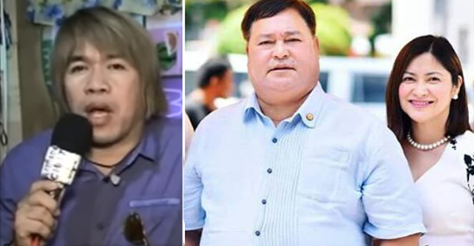 Weeks after the interview, Cocoy died of lung cancer and four months after his death, Mr. Ratsada was murdered in broad daylight in the City of Ozamiz. The family of Mr. Ratsada is appealing to President Duterte and the government to give justice to his death. The people of Ozamiz know who the alleged masterminds behind the killing. But because of the stong grip of the perpetrators upon local law enforcement authorities, his killing remains unsolved this day.